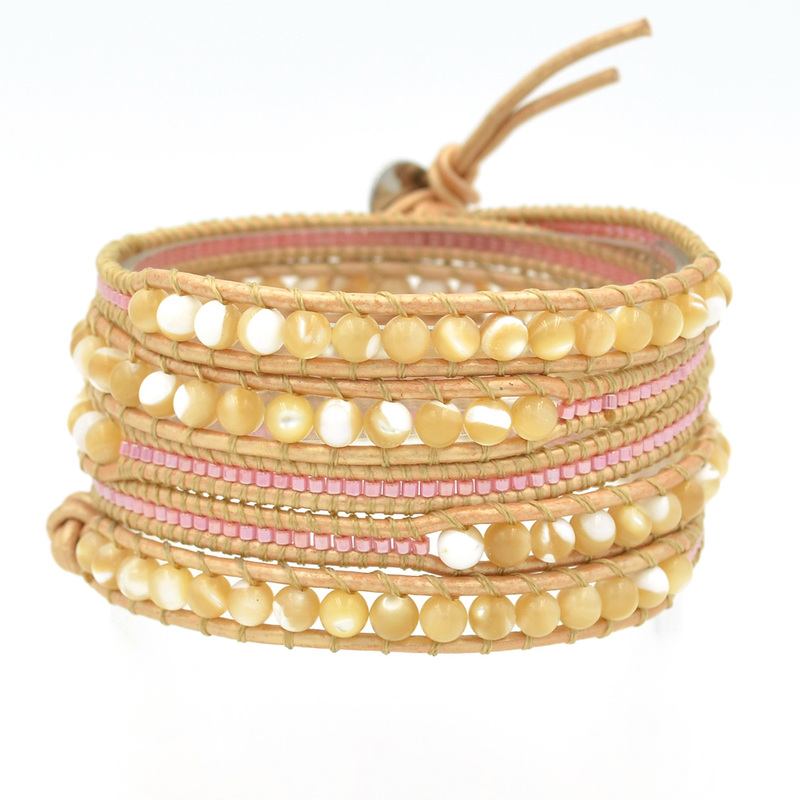 Lin Suu Jewelry Graduated Pink and pearlescent Long Wrap Bracelet, super fun, graduated look, wrap bracelet, Pearlescent, and pink beads 34 inches. Leather wrap bracelet. 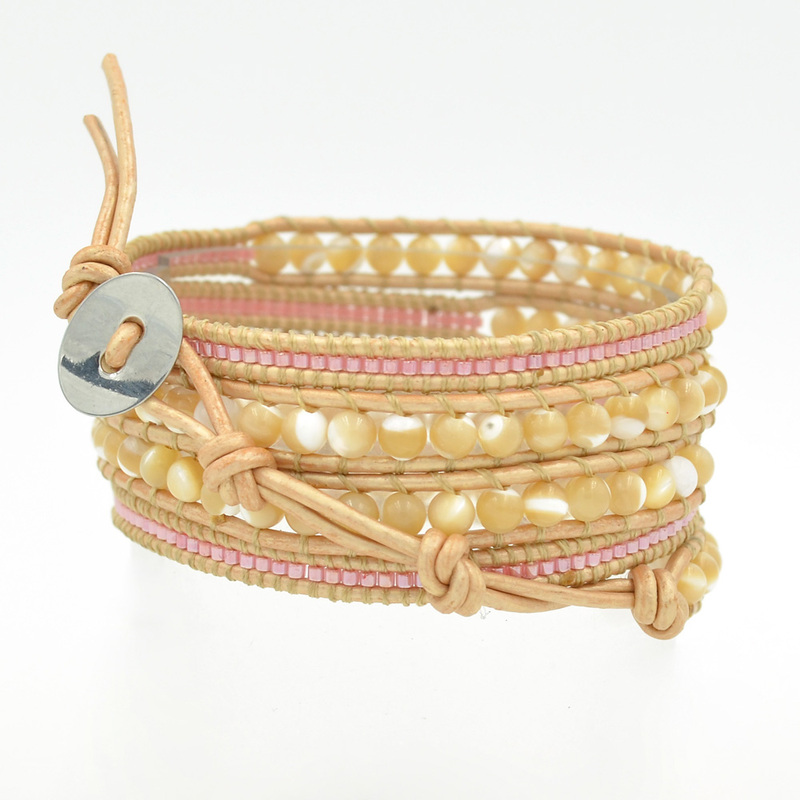 Designed by Lin Suu, soft brown leather matched up perfectly with Pink , and white pearl beads. Super Fun, 34 inch long, Awesome embedded simulated pearlescent beads 5 wraps for that super fun look, 3 adjustment levels, fits all size wrists!, LOVE LOVE LOVE!